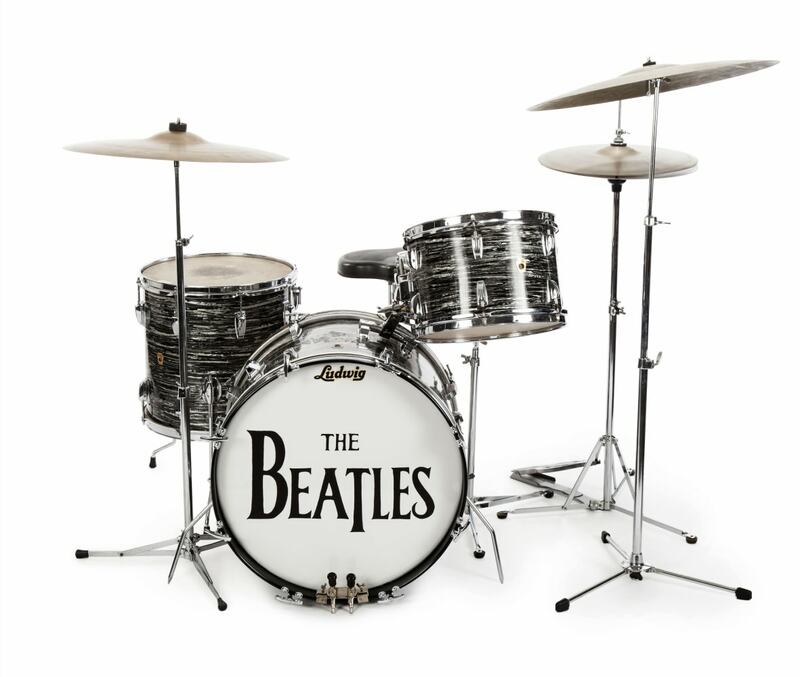 "Ringo's first 1963 Ludwig Oyster black pearl three-piece drum kit that he used in over 200 performances and recordings between May 1963 and February 1964, including for hits such as "Can't Buy Me Love" and "All My Loving." Paul McCartney also used the set on his first solo album, "McCartney." $300,000-$500,000." "More than 800 items owned by Ringo Starr and his wife, Barbara Bach, are going to auction, including rare Beatles memorabilia like his three-piece drum kit used in over 200 performances and a Rickenbacker guitar known as the "Beatle-Backer" that John Lennon owned and later gave to Ringo. "We have so much stuff and a lot of it we haven't seen in 20 to 30 years," Starr, 75, said in a phone interview with Bach from London. "